Would you like to learn how the most successful mortgage investors are buying non-performing mortgages for Pennies on the Dollar? You are about to learn the insider secrets to the cheapest mortgage notes. 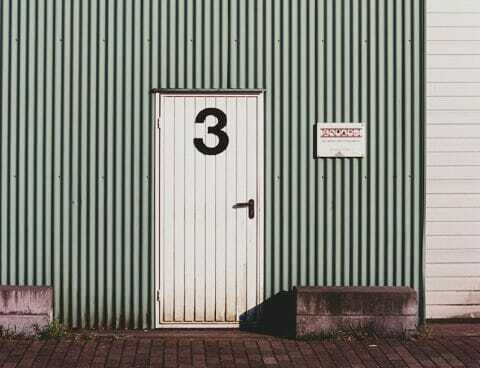 Investing in second mortgages or “junior liens” isn’t a very well-known sector of note investing but can be the most profitable if you buy them direct from the source. 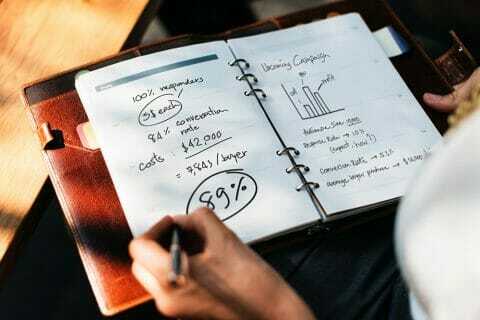 In this post you will discover what makes 2nd mortgages so lucrative and the cheapest places to consistently buy non-performing second mortgages. If you’ve been looking into investing in notes then no doubt you’ve come across second mortgages as one investment that a lot of people are excited about in this industry. If you’ve been wondering how seconds work, why people invest in them and what makes them profitable, especially when they’re non-performing, then you’ve come to the right place. When we talk about a second mortgage we’re talking about a promissory note loan that is in a junior position to a senior note. When we talk about debt being senior or junior this has to do with the priority of the note with regards to pay off especially in the case of default. There are two types of seconds, your traditional second mortgage, which is amortized over a traditional schedule and is used by some home buyers when they don’t have enough of a down payment. The other type of loan that’s a second is a HELOC or home equity line of credit, which is a type of debt that is closer to credit card debt than it is a mortgage but nonetheless is secured by the house in a junior position to the first mortgage. So when we talk about seconds we’re talking about any mortgages or loans that are secured by the property that in terms of lien priority come after the first mortgage. At first blush it may seem crazy to buy a loan that isn’t being paid and that has other loans that are superior to it. But stay with me, I’m going to try to demonstrate to you why a lot of investors find seconds so attractive. 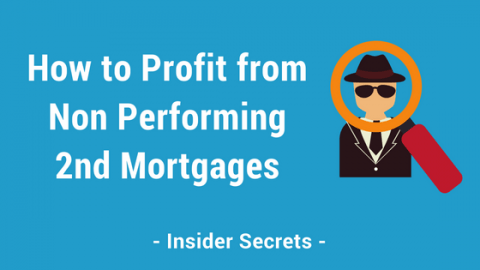 There are a variety of ways that second mortgage note investors get paid off and make profit. In some cases you’ll modify the loan, you may reduce the principal for your borrower, extend the term, reduce the interest rate, or offer other kinds of relief that allow the borrower to continue to pay and allow you profit. The second lien holder will also be paid if the property is refinanced or sold. Your loan will have to be taken out, that is to say paid off,before anything can be done with the property. Depending on the market that you’re, in even if the house is foreclosed on by the senior lien holder, you still have a good opportunity to get a return on your investment in places where home values have soared. Investing in second mortgage notes allows a lot of experience with a variety of cost and more importantly provides huge upside potential because of the dirt cheap pricing of seconds. Non-performing second mortgages can sell for pennies on the dollar. Quite literally. And that’s how the pricing of non-performing seconds is referred to. For example you might pay $0.06 or $0.12 which means would mean 6 or 12% of the unpaid principal balance on the note. One of the keys to doing well with non-performing second mortgage note investing is to spread your risk across a number of loans. Typically a second mortgage investor won’t buy just one loan, they buy number of loans knowing that they will not get paid on some of them because the first position will foreclose and there won’t be enough equity but the ones that they do get paid on have such high margins that it more than makes up for the losses. Why are 2nd mortgages sold so cheap? Non-performing second mortgages are cheap because they’re often not worthwhile for lenders that service them to work through. We’re generally talking about small balance low and mid 5 figure debts. In many cases the lenders don’t have the same kind of flexibility in their workouts that a private investor would have because institutional investors, like banks and credit unions, are heavily regulated, while private investors have much fewer regulations with which to contend. So second mortgage notes are being sold on the cheap because it’s not worth while for the institutional lenders to throw a lot of manpower and resources at collecting the small balance, possibly questionable, debts. The reason banks want to dump non-performing “second mortgages” or junior liens is because they have a disproportionate negative affect on their balance sheet. Bear with me here, The reason I dwell on what’s going on underneath it all and on the data is because it’s that knowledge that is going to help make you a professional. If you don’t know why you’re doing what you’re doing then very often you’re not going to do it very well (I want you to do it well ) and beyond that you’re going to miss opportunities. Under the proposed rule, 1-4 family residential mortgages would be separated into two risk categories (“category 1 residential mortgage exposures” and “category 2 residential mortgage exposures”) based on certain product and underwriting characteristics. The proposed definition of category 1 residential mortgage exposures would generally include traditional, first-lien, prudently underwritten mortgage loans. 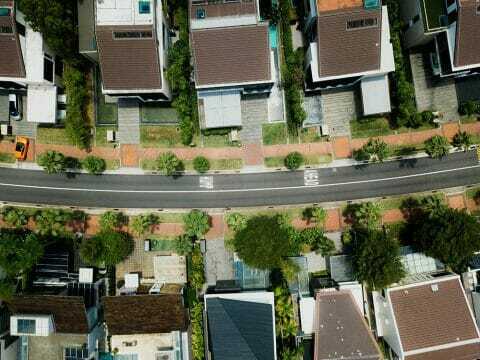 The proposed definition of category 2 residential mortgage exposures would generally include junior-liens and non-traditional mortgage products. WHOAAA, if you read that and it just makes you dizzy and you hate it let’s back up and break it down. Here it is – there are 2 categories of risk for residential liens. Second mortgages (second position mortgages) fall into the second. Now consider this table below. Second mortgages are in the second column. Look it over. I’ll meet you at the bottom of the table. So this begs (at least) 2 questions. Why does this make the non-performing second mortgages worse for banks – what’s the impact? Risk weighting is just what it sounds like. Some loans are riskier than others and so different “weights” are assigned and those weights then impact the balance sheet and in this case we’re talking about capital adequacy ratios. Banks have to maintain certain levels of capital and you can read more about that here or here. In short, the calculation puts capital as the numerator and risk weighted assets as the denominator. Therefore the bigger the denominator (the risk weighted assets), the lower the ratio, – the bigger the drag on CAR (capital adequacy ratio – remember division? denominator down, numerator… nup). If CAR falls below acceptable levels then red flags are raised, regulators move into the cube next to you and there’s a real risk that you’ll be shutdown if the problem persists (if you’re a bank). As you can see in the table above, in the far right column (category 2), second mortgages are weighted much higher than first position liens (category 1). At the top end of the scale junior liens are weighted at 200%. Thus, disposing of troubled second mortgages (junior liens), pound for pound, has disproportionately more positive impact on a bank’s balance sheet. Banks can cash those juniors out by selling them to you. They recover what capital they can and their ratios improve. Second mortgage note investing strategies. The first step to making money with non-performing 2nd mortgage notes is to find them. Where you’ll be able to source them from depends on how much capital you have to work with and how much work you’re willing to do. If you have ready capital and you don’t mind paying a premium for then our first investment strategy might be the right one for you. Some large private funds, frequently ‘hedge’ funds, will buy pools of non-performing juniors seeking opportunistic returns. They might workout or foreclose on some loans in this pool, carve it up and sell off other pieces to smaller investors. Often then that investor will carve up the pool further and might even sell notes directly to the final buyer. Each “middle man” or step between the original source of the loan and the end buyer makes a margin on his sale which means if you’re at the end of the line you’re likely paying too much. 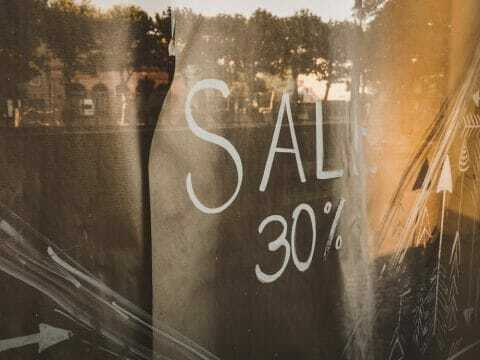 How to Find and Buy Non-Performing Notes from [A-Z]:In this article we cover how to find non-performing notes, how to buy them, you’ll learn some strategies that others take with non-performers and there’s some downloadable bonus material. As you know banks and credit unions make loans…Sometimes these loans are originated for the express purpose of then selling them on the secondary market, sometimes the loans are originated to be held on the bank’s books as “portfolio” loans. That is to say “whole loans” (non-securitized) originated and held for the purpose of collecting the payments form the borrower. Many banks will sell non-performing second mortgages rather than trying to work them out or resolve them internally. Your job then is to find out which banks are selling the types of assets you want to buy, find a decision maker, and then be there when the lender is ready to sell. 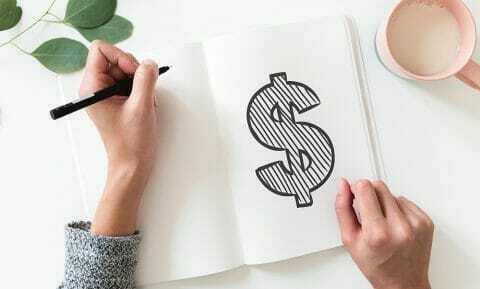 How to Buy Notes from Banks [Complete Guide] We created a step-by-step “How-To” guide on buying notes from banks and specifically buying non-performing mortgage notes and real estate notes, direct from banks. They say in real estate that you make your money when you BUY the property. The same holds true when you’re buying notes. If you’ve overpaid there’s virtually no way to recover your investment. One way to make a return on your investment is to ‘workout’ the note, that is to say, you get the borrower to start paying again. When a borrower stops paying on their second mortgage default interest and arrears accrue. Most of the time, part of your workout strategy will include getting the borrower to catch up on the arrears and default interest. When there’s equity in a property an investor can get a return on his investment by foreclosing on the property. Yes, junior liens mortgages in any position usually have the power to collect monies owed through the foreclosure process. Of course if there’s no equity to cover the second position then foreclosing does not help you get a return because foreclosing lien holders always have to pay superior liens. What that means is that if you own the HELOC on a property that also has a first position mortgage, a second position mortgage, and back taxes, all of those will have to be paid from the proceeds of the sale BEFORE you will see any money in last position. It looks like a lot. And it is. But the money in trading notes can be HUGE once you figure out what you’re doing. Arguably, the first step in the note business is to be able to source the assets. Nothing happens until you have “product” to evaluate and bid on. If you’ve got experience working with banks and you need portfolio information and contacts to grow your business then have a look at BankProspector. If you’re just getting started and have never worked with a bank before then have a look at the Academy. If you’re an investor with more cash than time, then have a look at the Verified Investors Program. 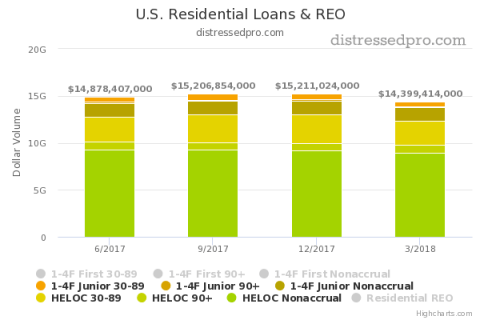 Which banks have non-performing junior residential liens? What kind of discounts can you get on non-performing second mortgages? This depends on the collateral, who’s selling, the borrower’s status and a host of other factors but you could pay anything from literally a penny on the dollar up to 30+ cents. How many banks have non-performing junior liens? What’s the dollar volume of junior NPLs today? How do I get bank’s to sell their seconds to me? Got a question about non-performing junior liens? Ask me in the comments box below. As a private investor, how do I go about selling a porfolio of performing and non performing loans, paper value 1M ? Hi Mort, Are you looking for help doing that or advice on how to go about doing it yourself? Hi Mort, we would be interested in looking at those loans! If its ok Brecht, my email is info at silverwoodllc.com. If its not ok, then you can delete this post and possibly give Mort my info? from what I see. are these guys trying to buy from a broker or larger institutions? I have not done any yet but don’t want to waste time if that space is also at a premium now? Still reading your articles and bank prospector looks promising as a tool.